Autel Robotics Evo Drone - Here It Comes, Are You Ready? If you're at all into drone photography or cinematography, you've probably heard about the DJI Mavic series. These drones have pretty much set the bar for portable drones with 4K camera capability since their release in 2016. At the massive tech conference, CES 2018, however, a challenger appeared: The Autel Evo. 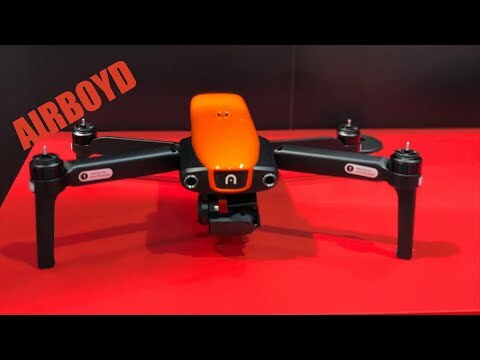 A foldable drone with a 4K camera and what appear to be slightly better specs, I think the Evo could finally give DJI some competition at a comparable price point. The Evo hasn't been released yet, but the rumor is that it's mere days away now. So far the only hands-on experience anyone has had with it was at CES 2018. If you know the name Autel, though, it's most likely due to the reputation their X-Star garnered as a "Phantom Killer" due to its having features similar to DJI's Phantom at a lower price point. That history is promising, given that Autel seems to be aiming for the same thing with the Evo. Granted, "Mavic Killer" doesn't sound as intimidating (what's a Mavic? 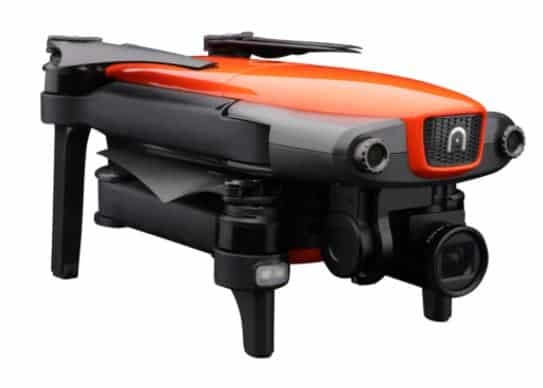 ), but this drone is worth a look. RC Hobby Review has done their research, so check out what we've found out. Who should buy the Autel Evo? With its 4K, 60 FPS camera, small size, obstacle avoidance, and advanced tracking capabilities the Evo is very flexible. I could see this drone homing in and following you around on a motorcycle one minute and getting a nice wide shot of the city the next. It's got some interesting software and guidance features, so the possibilities seem wide-open. So who might want this drone? It's in a price category that definitely sets it up for the upper end of drone buyers. The users going after this are those who need the maximum resolution they can get from a camera and are looking to push the envelope on drone features while still maintaining portability. If you know what a 3-axis gimbal is (and you think you need one), you're definitely someone who should buy this drone. More broadly, if you have some drone experience and need one that can handle some more complex tasks while still fitting in your bag, the Evo is worth a look. This probably won't be your first drone, but it might very well be your second or third if you find the image quality or guidance features lacking on whichever one you started out with. It's a whole lot of drone, and if the specs announced at CES go through to the consumer model, it'll be a serious competitor in both the higher-end recreational and professional markets. What's in the Evo box? Beyond that, it's anyone's guess. The really interesting part is definitely the drone, but given that it shoots in 4K it hopefully comes with a pretty hefty SD card. I'd definitely stock up on one or two extras anyway if I was planning on doing extended amounts of shooting—4K is a massive space hog. Here's the fun part: what are all the techie details of the Evo, down to the last megapixel. And more importantly, what do they mean? If you were wondering what 3-axis gimbal is, here's where you can find out. Number one is the 12-megapixel 4K camera. That in itself isn't special—it's not hard to find a premium-ish drone that has 4K. The thing that sets this one apart is the 60 frames per second. Most 4K drones, including the Mavic, record at 30 FPS, which isn't shabby, but if you have to have that ultra-lifelike motion that comes from 60 FPS, it can be harder to find. The 3-axis gimbal, as much of a mouthful as it is to say, is actually really nice. A gimbal stabilizes the camera, giving you a nice steady shot no matter what's happening to the drone. A 2-axis gimbal stabilizes your camera on the pitch (up and down motions) and the roll (left and right motions); a 3-axis also stabilizes your yaw (motions around the vertical axis, or where the drone is pointing itself), which means 100% jiggle-free video. I like a drone with some zip, and the Evo definitely fits that description with its maxed out speed of 20 meters per second (44 miles per hour). The battery is rated to last about 30 minutes, which is a little longer than the Mavic, but it might not live up to that if you keep the throttle pushed all the way down for your entire flight. As someone who travels light, I wouldn't even consider lugging around a drone that I couldn't stick in a bag. Luckily, you can fold up the Evo and hold it in one hand no problem. You could fit it in your average camera bag. Think Media has good footage showing its size at CES. Having an OLED screen on the remote is a very nice perk—it looks like you can use it in conjunction with your smartphone to give you even more information and control. If your smartphone runs down or you just don't have one, you can pilot using only the remote, as it can directly stream video from the drone. The remote offers the slightly insane range of 7 kilometers (about 4.2 miles) which is way farther than I'd be comfortable sending my drone, but it's nice to have the option. This drone also comes with some nice software under the hood—the self-guidance systems seems like they'll be fun to play with. Dynamic tracking enables the Evo to latch onto a target (say, you on your bike) and follow it like a lost puppy. It works on visual recognition, and while there's no word on how this performs in real-world conditions it's been implemented on other drones and it seems to work well. 3D mapping is a feature most people probably won't use, but it's pretty interesting that Autel included it natively in the app. If you need to figure out models or gather data on some structure you can set the drone to explore it and it'll give you the data. My favorite is probably the front and rear obstacle avoidance. It sees when something is around it and avoids it, so you won't really have to worry about crashing your drone, even if it's out of sight, and it won't crash itself while following you on dynamic tracking mode. More flight modes and features, including GPS Follow, Waypoint, and Orbit will also be available in the app. As it's unreleased, user-friendliness is still an open question. However, you can probably expect it to be similar to the X-Star, which also has a remote with an OLED screen. To get the most out of it you'll definitely have to download the Autel Explorer app, though you'll be able to control it with the remote alone if you want to. There will definitely be some YouTube walkthroughs coming out once the drone goes on sale (you can actually pre-order now at several places), so if you find flying the Evo a bit intimidating, never fear! Help will come. So what's the verdict on the Autel Evo? The Autel Evo drone is definitely being marketed as a DJI Mavic competitor, and if you look up comparisons on the specs it seems that, at least on paper, it does indeed edge out the Mavic on almost every front. The camera has 60 FPS versus 30 on the Mavic. It's a little faster, lasts a little longer, and has better range. It's got collision avoidance in the front and the back, while the Mavic only has the front. The controller can stream you video via the OLED screen while the Mavic only shows flight data. Overall, if Autel delivers on all this, the Evo will probably outperform the Mavic. 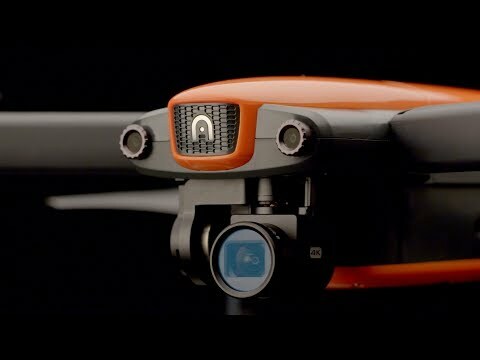 And regardless of how it does versus the competition, it seems like its set up to be a very solid drone in its own right. 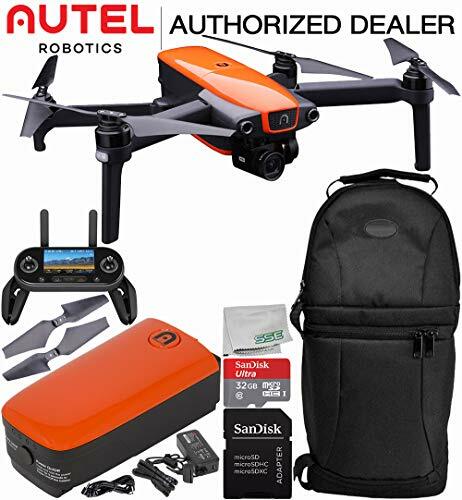 Anybody looking for a semi-pro level, smart, small drone with some pretty neat features and premium picture quality has no farther to look than the Autel Robotics Evo.